Following the election of two lead candidates by the Party of the European Left, instead of one, it is time to call it. The so-called 'Spitzenkandidat' system is not going to deliver what its original architects intended. 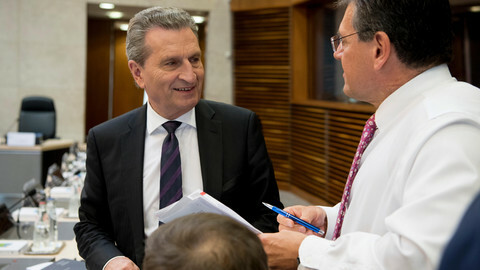 The idea was that each European party would nominate a Spitzenkandidat (German for lead candidate) and if that political family comes out on top after the European Parliament elections, their Spitzenkandidat becomes president of the European Commission. There would be debates between the candidates, which would thus be subject to public pan-European scrutiny. 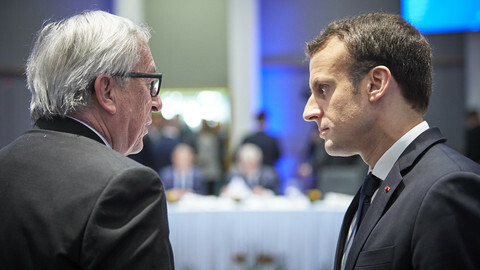 In 2014, the Spitzenkandidat process allowed the parliament to propose the European People's Party's (EPP) Jean-Claude Juncker to become president of the commission. Choosing the leader of the EU's Brussels-based executive is the prerogative of the leaders of the 28 national governments, but the parliament successfully used a clause that was open to interpretation in the new EU treaty to claim a role. A majority of MEPs backed Juncker, putting government leaders in a position where rejecting him would look anti-democratic. Supporters of the Spitzenkandidat method see it as a way to bring European politics closer to the EU citizens. The lacklustre voter-turnout for EU parliament elections has been a matter of analysis by academics for years and it has many reasons. Researchers Alexandre Borrell, Jamil Dakhlia and Christina Holtz-Bacha wrote in the book Political Advertising in the 2014 European Parliament Elections that "when compared to national elections, European elections lack suspense as they are not a contest for real political power". The result of the parliament elections do not lead to a new coalition of a European government, or a European prime minister or president. Thus personalisation is an important ingredient to increase public interest, the researchers wrote. 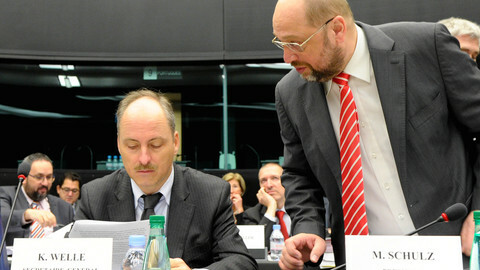 The Spitzenkandidat system - pushed by the previous president of the EU parliament, Martin Schulz, and his secretary-general Klaus Welle - was supposed to give citizens a hand in choosing the next commission president. Four months ahead of the parliament elections however we can already conclude that this concept has been neutered by the choices of several political parties themselves. 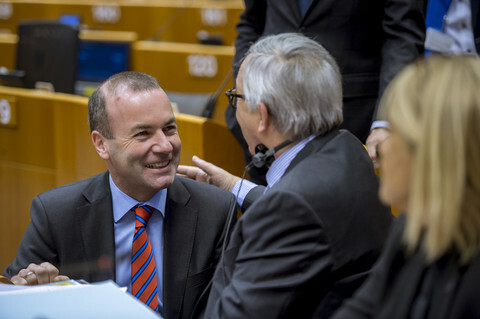 Of the European parties associated with the eight political groups in the European parliament, only three have selected a single Spitzenkandidat. 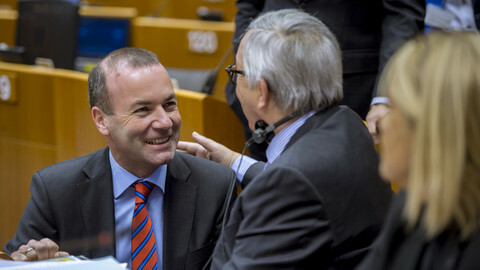 The centre-right EPP have Manfred Weber, the centre-left Party of European Socialists have Frans Timmermans, and the conservative Alliance of Conservatives and Reformists have Jan Zahradil. But even Zahradil, a Czech MEP, is only a reluctant Spitzenkandidat. He and most in his mildly eurosceptic group believe that it should still be up to the government leaders convening in the European Council to determine the next commission president. "They may wish to nominate someone who has run as a Spitzenkandidat. Or they may not," said Zahradil in the press statement that announced his candidacy. "Even if we were to win the next European elections, I would respect the council decision," he said. The Liberals decided last November that they would not present a single Spitzenkandidat. "European liberals have several strong leaders and we decided they should be heading our electoral campaign as a team," the party said in a statement. The Greens have selected a pair, Ska Keller and Bas Eickhout, as they did five years ago - when Keller teamed up with Jose Bove. 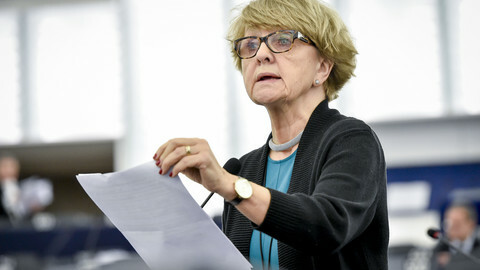 The Party of the European Left also nominated a duo rather than a single candidate, at their executive board meeting last weekend: Slovenian MP Violeta Tomic and Belgian trade unionist Nico Cue. 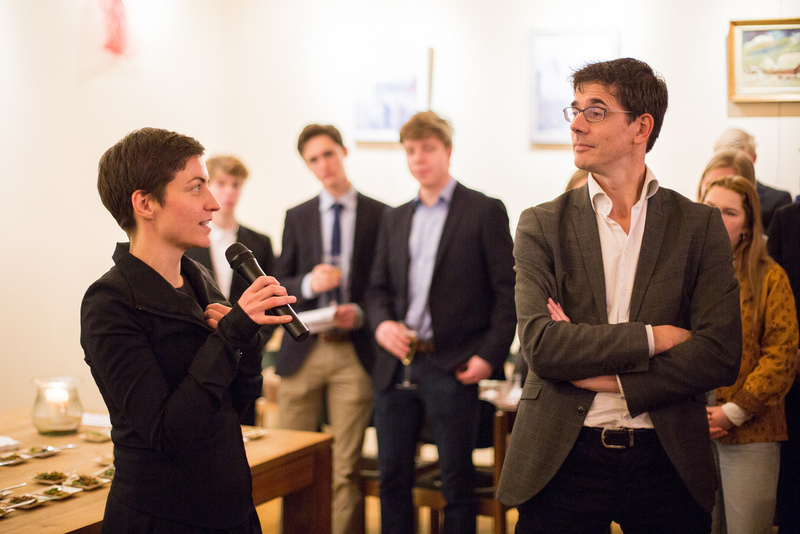 EUobserver spoke to Cue on Monday evening (28 January), at the European Left's New Year's reception. Asked who would become commission president if the European Left won the elections, Cue said we should wait for the outcome of the elections. "We will see," he said. It was more important to focus on the kind of Europe his party wanted, said Cue. "Afterwards we will see how to decide who, what, how," he added. Of course it does not look very likely that Tomic and Cue will be faced with having to decide who will become commission president, as the far left currently represents only 52 of 751 seats in the EU parliament. The idea was that citizens would know that their vote would help to get one specific person in the Berlaymont HQ of the commission. Imagine you are fed up with the fact that the commission president has always been a man. You could vote for the Greens or the European Left, who each have a female candidate, but you might still end up with the other candidate: a man. 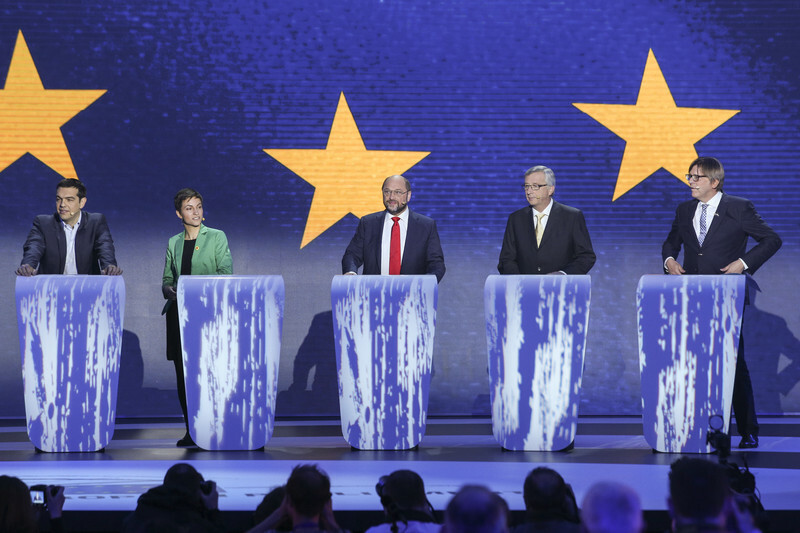 The idea was to Europeanise the debate, but by having two candidates or even a team, the parties can opportunistically decide who to put forward in what debate. A counter-argument could be that Ska Keller is best at explaining the Greens' position to the Germans because she is German, while Dutchman Bas Eickhout would be able to use his native language in the Netherlands. But then the whole point of a single pan-European candidate might as well be thrown out the window. In that case, the European election campaign should be kept at purely national level, as the national parties can best do the job of being in touch with their national electorates. It is not a huge surprise that most support for the Spitzenkandidat system can be found within the EU's two mainstream political forces, the EPP and the S&D. The EPP is currently the largest political group, and polls suggest it will remain the largest. 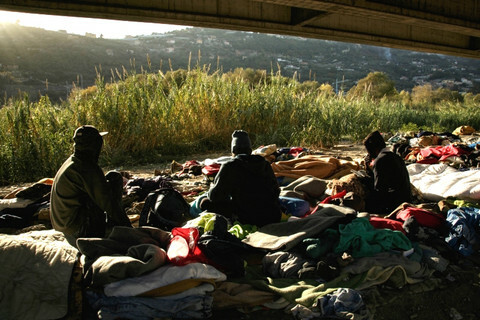 This could then pave the way for a Weber commission, if EU leaders decide to play ball. It is not hard to defend a system that favours the outcome you want. But it is also understandable why the other parties partake in the 'Spitzen process' in their own way. "We didn't invent the 'spitzenkandidat' process but once it's here, we want to take the opportunity to communicate our program, principles and plans to the public," said Zahradil last November. The European Left's decision to select two people completely unknown outside their home countries is also a way to make a political statement. They are being framed as candidates "from the people for the people". 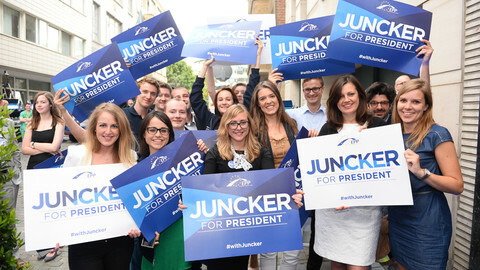 All the same, the original idea of a true European presidential campaign seems buried before it really had the chance to take off.